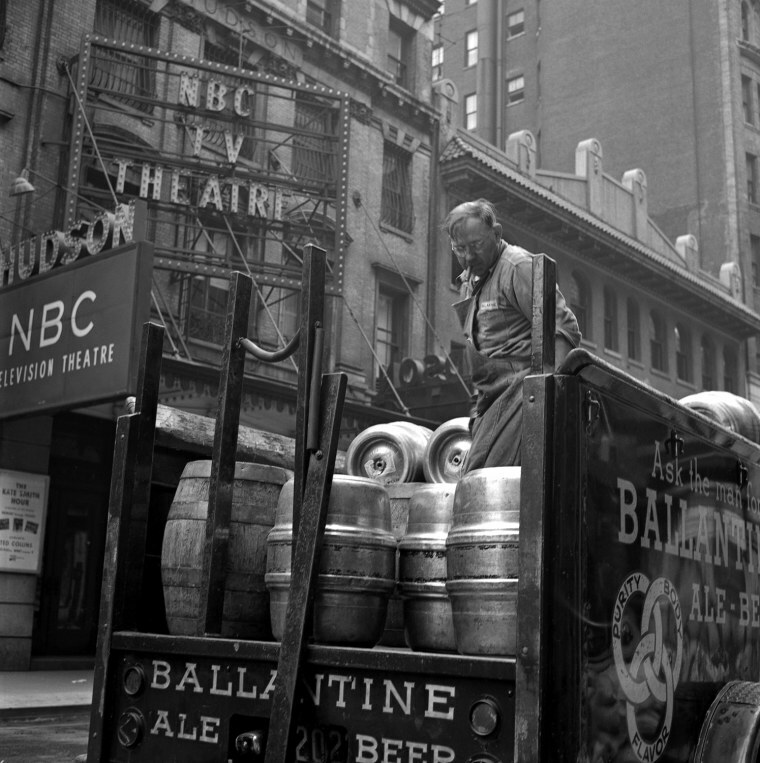 Amateur photographer Frank Larson captured New York City in the 50s. 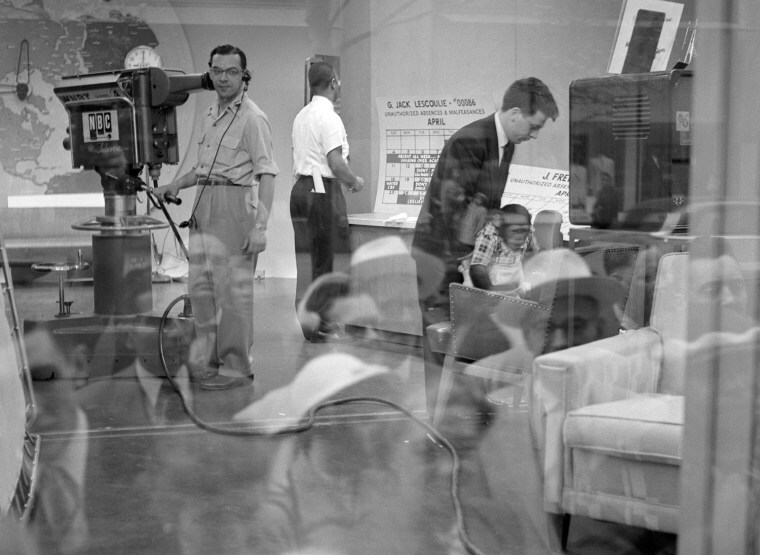 His thousands of negatives had been stashed away in an attic since his death in 1964. 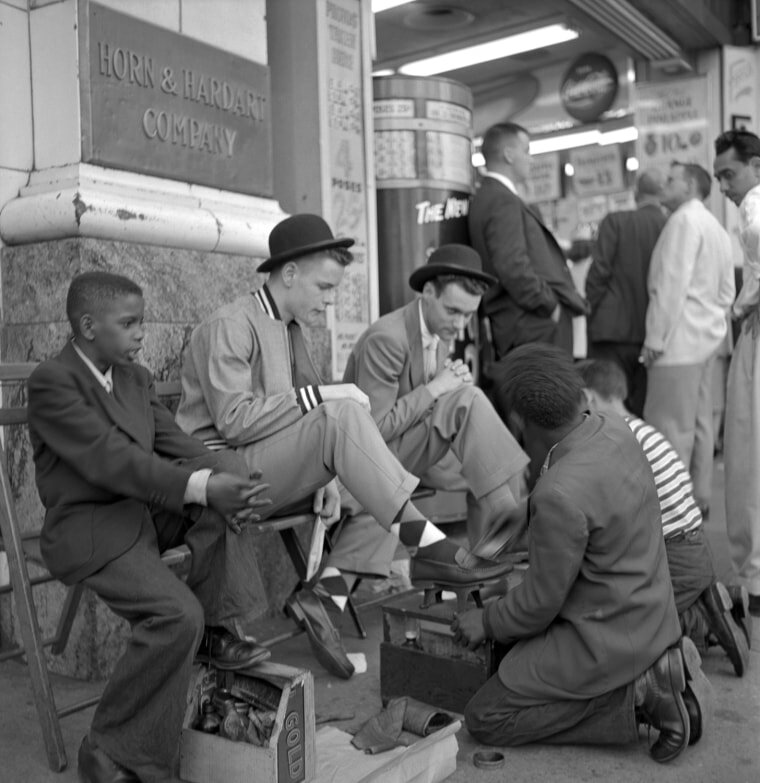 But recently, a grandson discovered them. 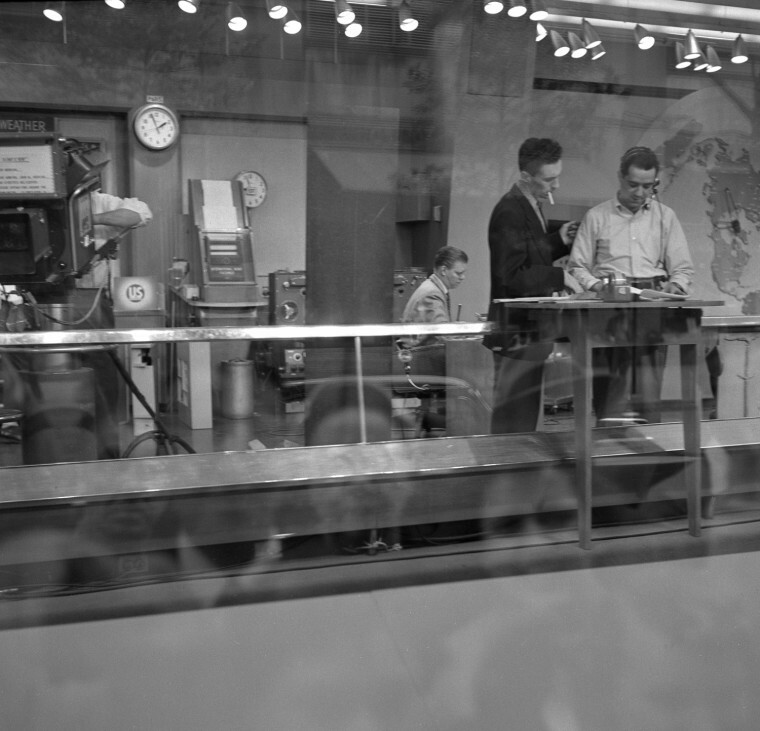 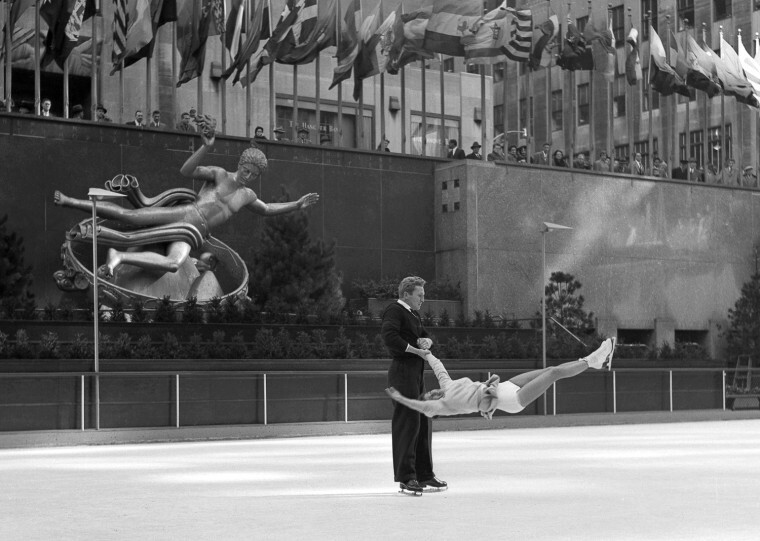 The set of NBC's "Today Show" is seen though a reflection of people outside peering into the window in April of 1954. 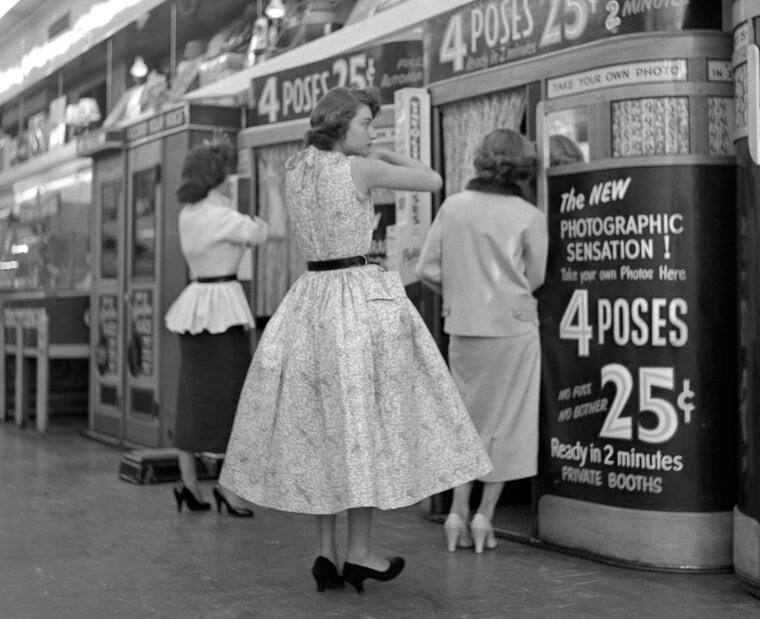 Three young ladies prepare to have their pictures taken in photo booths in Manhattan in April of 1954. 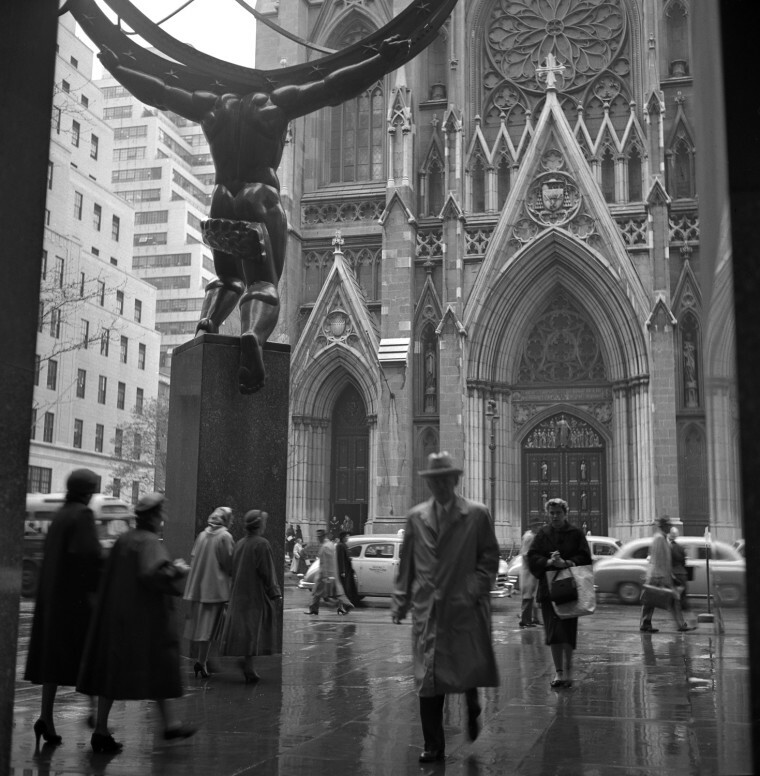 This shot, taken on a rainy day across from St. Patrick's Cathedral, is one of thousands of snaps found in an attic in 2009. 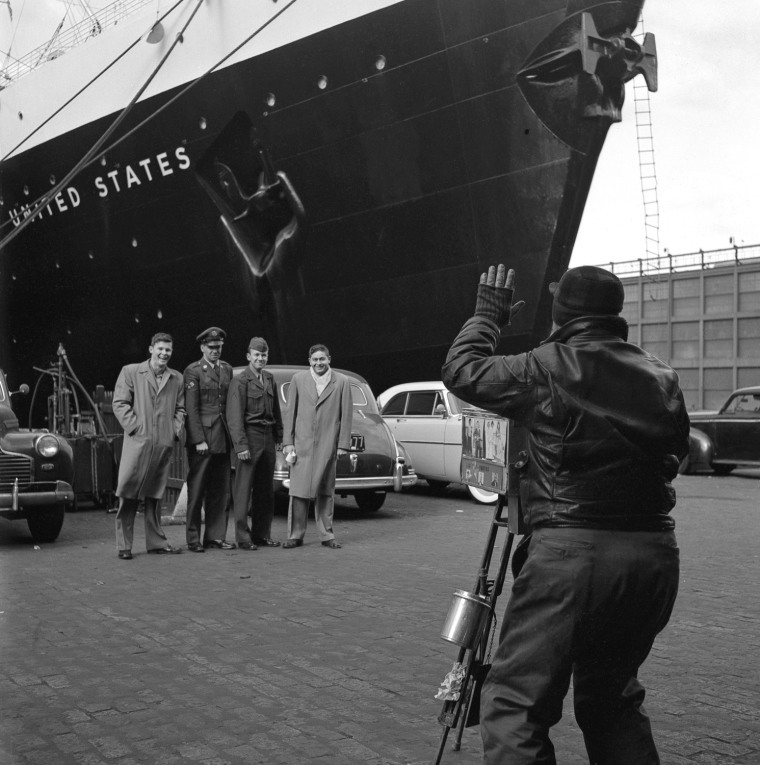 After his two sons left home, Frank Larson found more time to fulfill his passion for picture-taking. 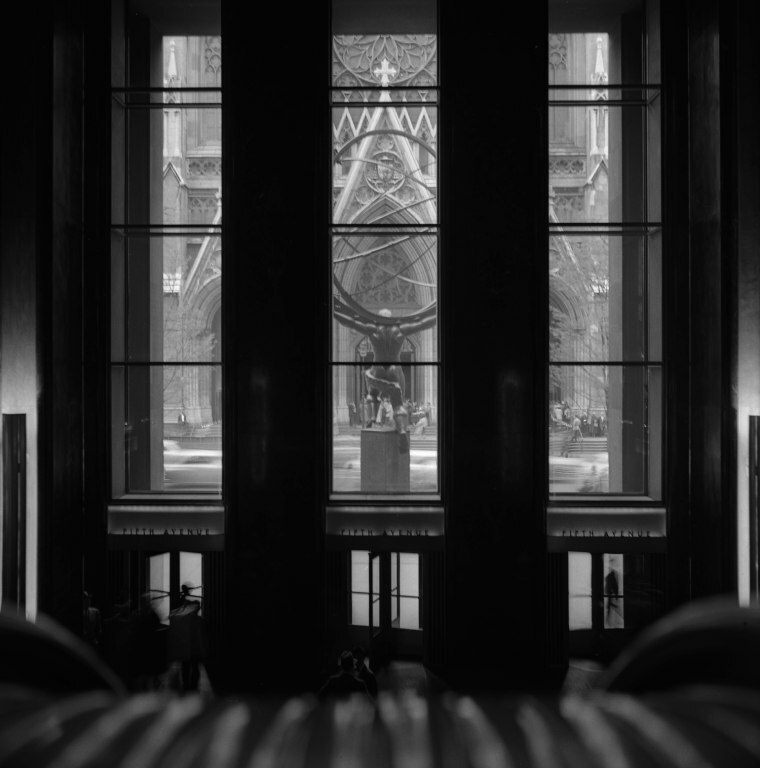 The thousands of negatives discovered, according to the Queens Museum of Art, were organized into more than 100 envelopes onto which Larson had carefully noted the locations, dates and times they were taken. 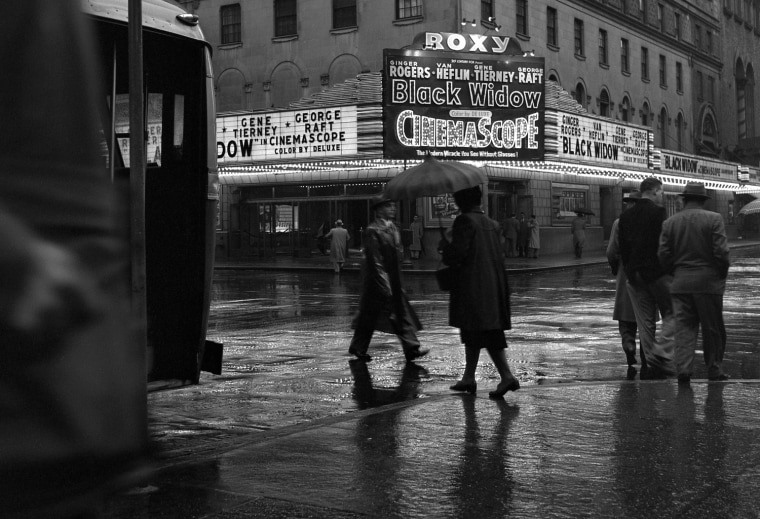 This photo shows a rainy evening in New York's Times Square under the neon lights of the "Black Widow" marquee. 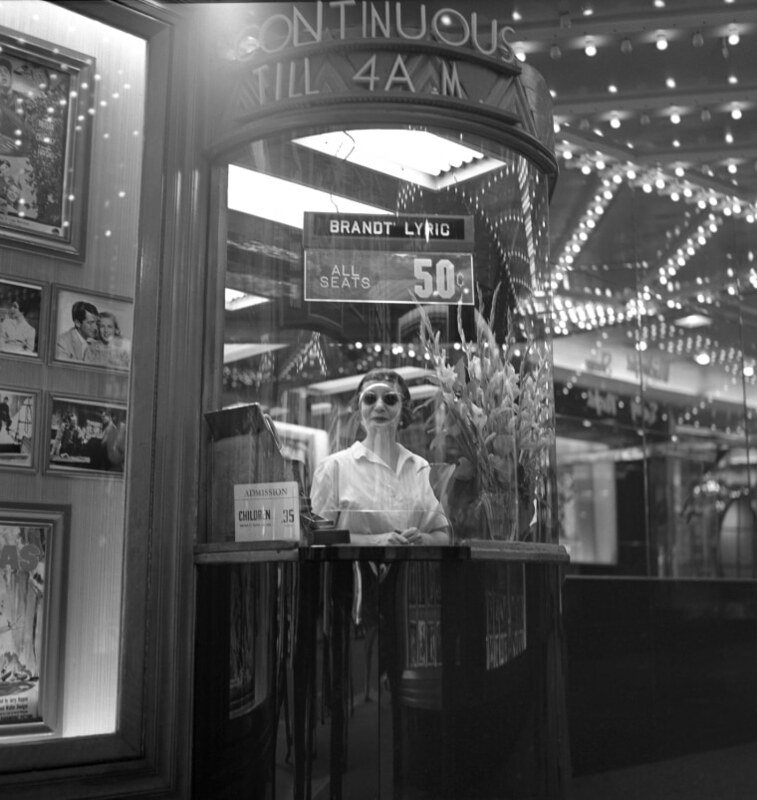 The bustling tourist area was a favorite photo setting of Larson's, according to the Queens Museum: Since Times Square is illuminated around the clock, he could disappear into the crowd at night and needed no flash to get his shots. 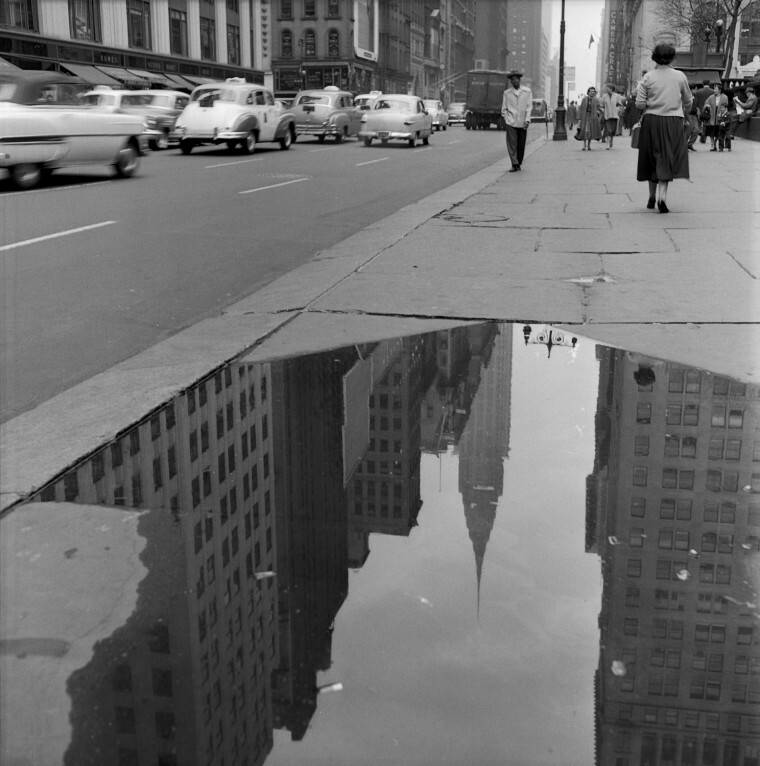 The reflection of the Chrysler Building is seen in a puddle on a sidewalk along 42nd Street in New York in April of 1954. 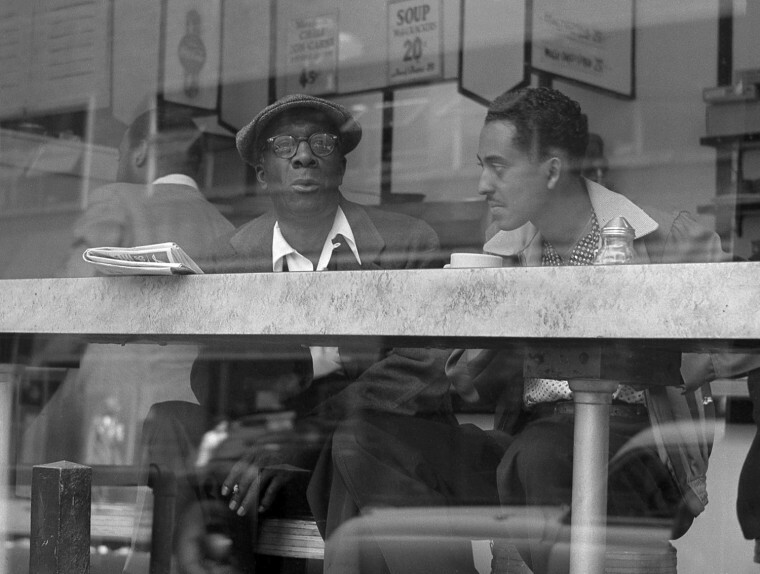 Two men have a conversation in a coffee show near Times Square in April of 1954. 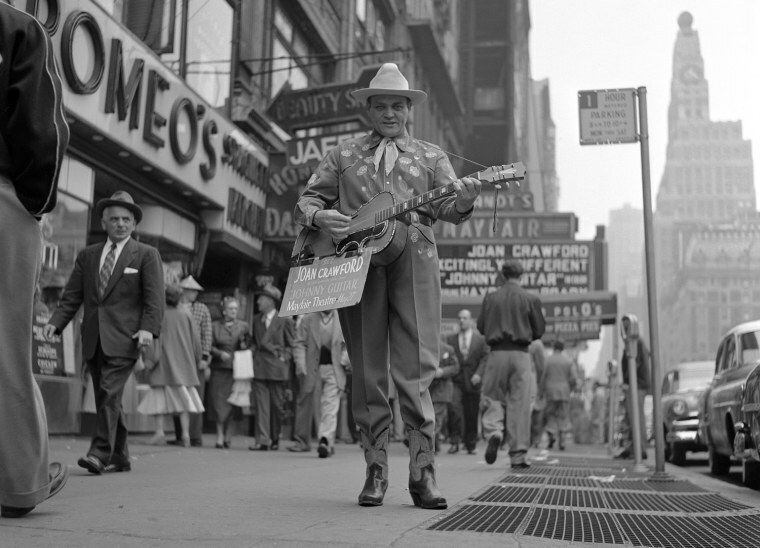 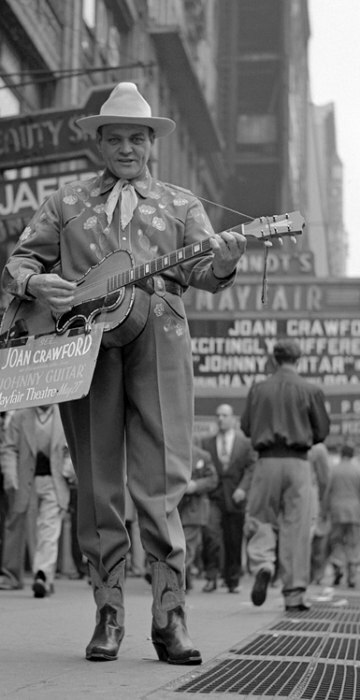 A man playing a guitar promotes the film "Johnny Guitar" on the sidewalks of Times Square in the Spring of 1954. 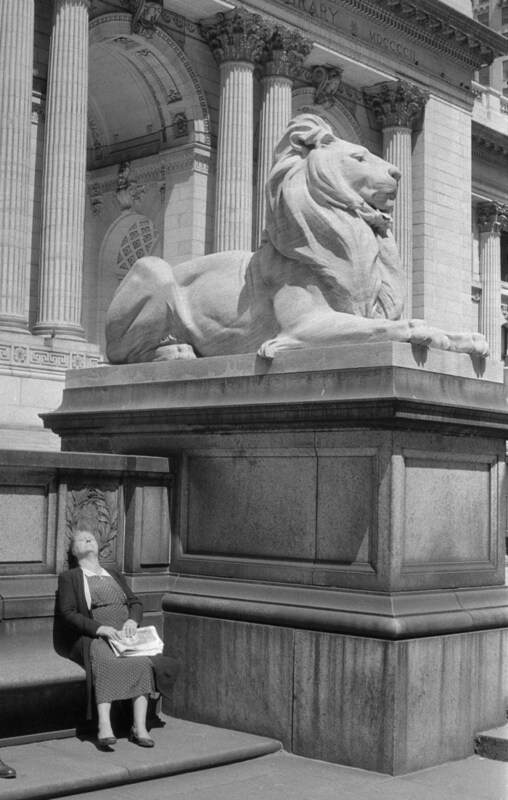 A woman suns herself outside the entrance to the New York Public Library in 1955 in this photo, called "Lady and the Lion." 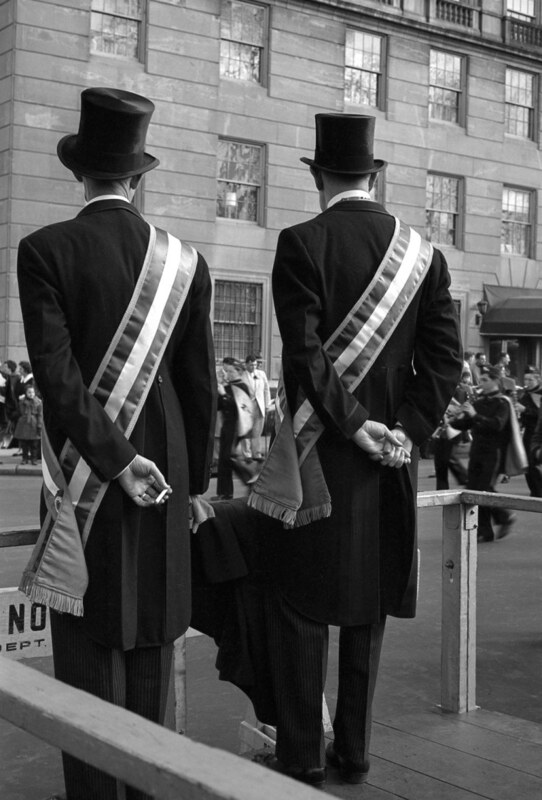 Two parade official watch New York's Saint Patrick's Day Parade pass by on Fifth Avenue as one of them sneaks a cigarette break. 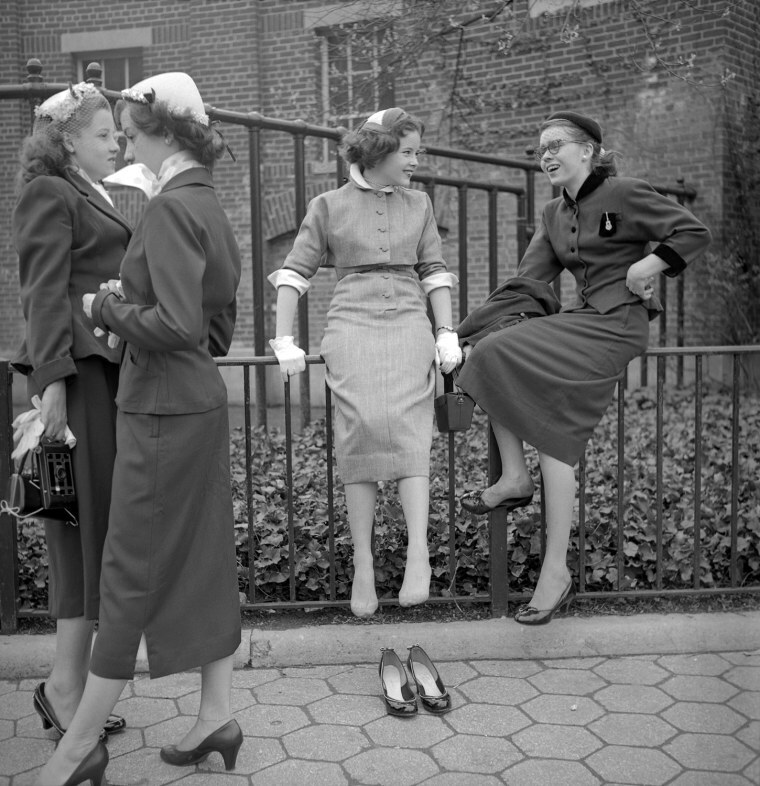 This photo, entitled, "School Girls," captured a candid moment in 1953. 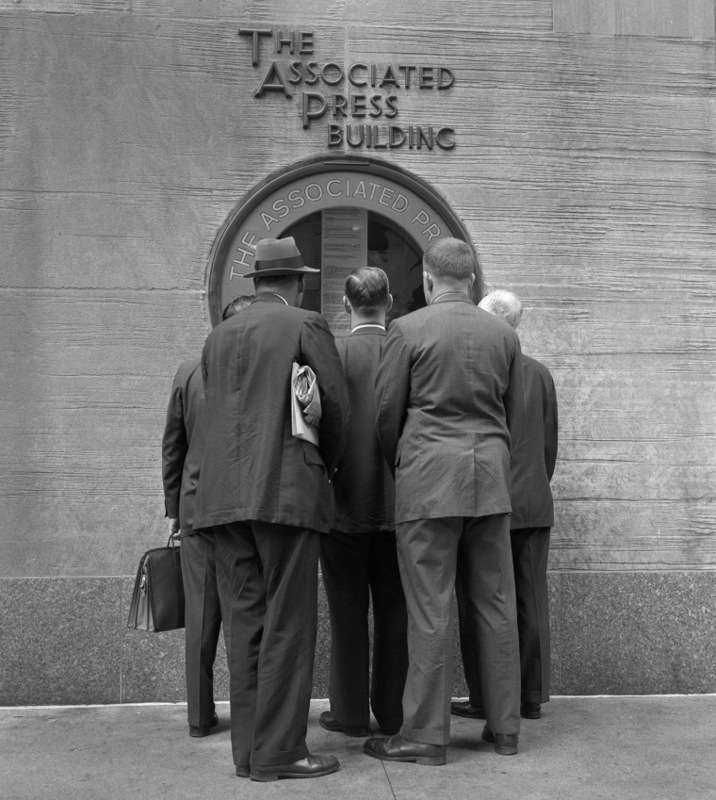 A woman peers out from a ticket booth of a movie theater in New York's Times Square in 1954. 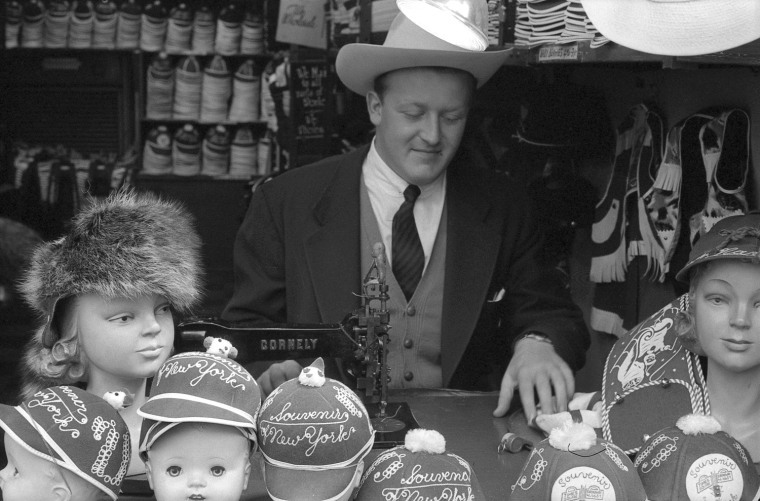 One thing that hasn't endured since Frank Larson took these photos: the price of a ticket. 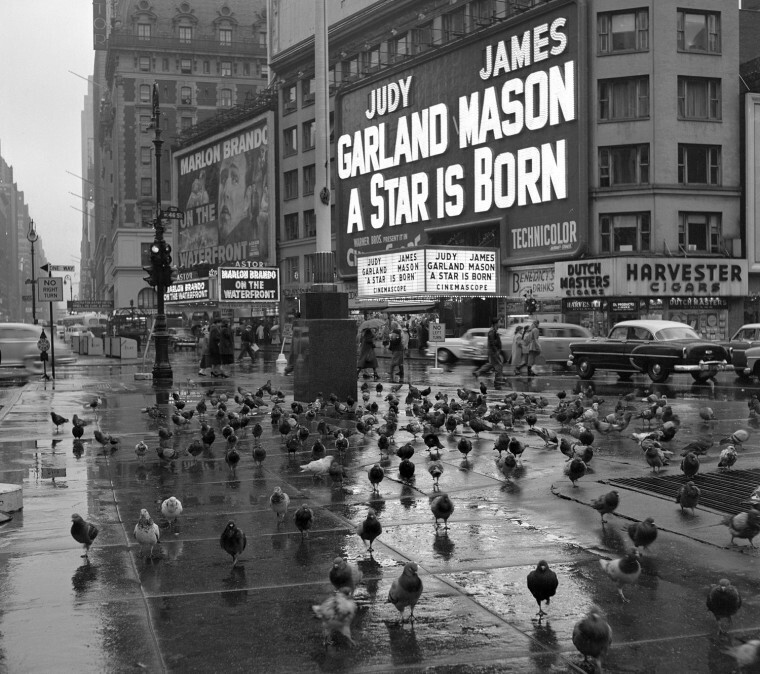 Pigeons gather in Times Square on a rainy day in 1954 in front of the marquee for "A Star is Born" starring Judy Garland..